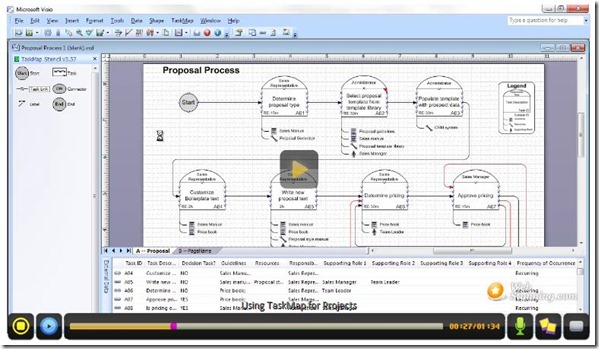 We get the question a lot, what’s the difference between a project plan and a process plan? It’s an interesting one, because many view these as completely different, but they are not. Let me explain why. Every project is comprised of one or more processes, so a project is just a set of processes linked together for a particular project. This is always true. The disconnect between process documentation and projects is a divide created by technologies and job responsibilities. It’s an artificial divide. The reality is excellent best practices can be the foundation of how to run a project, and project management software can be simply interfaced to process documentation systems. The example below shows the WBS (Work Breakdown Structure) for an individual project simply converted to a Microsoft Project file.